With a number of locations and divisions to maintain, well-organized records are key to Southwest Industrial Rigging’s success, and one of the main reasons WrightPlan’s software caught SWIR Vice President Mike Madge’s attention. In particular, the ability to pull up any job from any location and see its profit and loss statement. Plus WrightPlan would give them one system for managing contacts, quotes, job pictures and more. The system would even help them manage all of their employee certifications and training records, all in one place. This offered the SWIR team a clear picture and overview of their internal and external relationships. When considering the system, their Business Development Manager, said SWIR “looked at our processes and could see with WrightPlan how much time we would save in the automatic flow of information.” The system integrates the flow of information from quoting to jobs and scheduling through to invoicing. Another feature Mike Madge said is incredibly beneficial for the company. 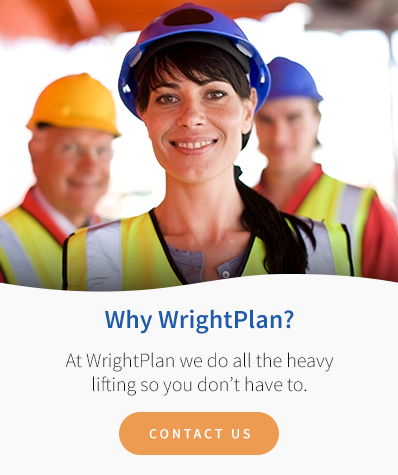 WrightPlan specializes in solutions for millwright, crane & rigging, machinery movers, and construction companies. We have a dedicated staff working to consistently develop user-friendly systems for unique needs, challenges, and teams, as well as a celebrated record of outstanding customer service and real-time innovation. Call us today and find out how we can help streamline your process!